Wisdom teeth are the last set of teeth that emerge in late teens. Some may get all four, while some may not get wisdom teeth. Sooner or later, most of us might remove our wisdom teeth. It might be a matter of seconds to remove the wisdom teeth. But, how do you know when to say goodbye to those little third molars? Often, it is the dentist who will decide whether you need to pull out your wisdom teeth or not by looking at an x-ray. It is also essential to know the warning signs of troublesome wisdom teeth so that you can identify the problem as early as possible before it affects other oral structure. The wisdom teeth removal cost Sydney depends on several factors, and they are found at the back of your mouth. Since they emerge in late teens and often cause problems because there is not enough space on the jaw-line to accommodate them. Due to the lack of space in the jaw-line, the wisdom teeth can emerge at an angle or partially through the gum which makes difficult to clean and floss them. This condition is referred to impacted wisdom teeth. An impacted wisdom tooth can cause a lot of dental problems. The following are the signs and symptoms you may experience that can become problematic if you do not remove your tooth. Pain is one of the most common symptoms accompanied by the growth of wisdom teeth. As there is no space on the jaw-line to emerge, instead of coming in straight, they can come in different angles including sideways, tilted or misaligned in the jaw, pressing up against the teeth in front of it. 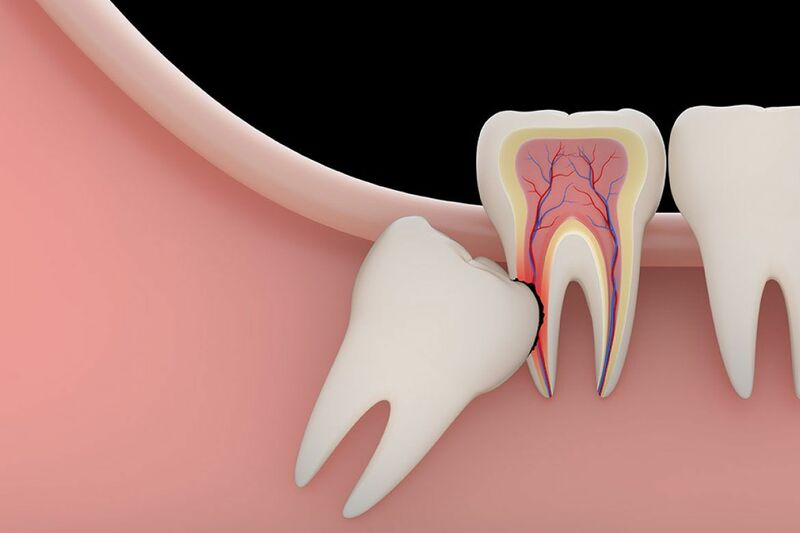 An impacted tooth may or may not cause any pain. At times, you may not even realise that is emerging in. However, when they develop, the overlying gum may swell and cause pain. The pain may occur for several days and then disappear for weeks or months before returning. But, when the pain increases it should be treated immediately. If not, it may lead to severe infection on the gums and teeth. Redness and swollen gum are caused by the flap of extra gum tissue that resides next to the tooth as a result of partially erupted wisdom teeth. This infection is known as pericontis, and it is caused when the food particles are trapped in the tissue. If the impacted wisdom tooth is not removed it may cause cysts. It will damage the roots of nearby teeth can lead to bone destruction. However, this is rare. Impacted wisdom teeth can lead to cavities as well if not extracted early. If you are experiencing any of these signs, visit your dentist immediately. Speak with your dental insurance provider for reducing the cost of wisdom teeth removal in Sydney.